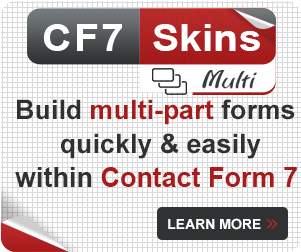 CF7 Skins has launched our new drag & drop visual editor for Contact Form 7 forms. 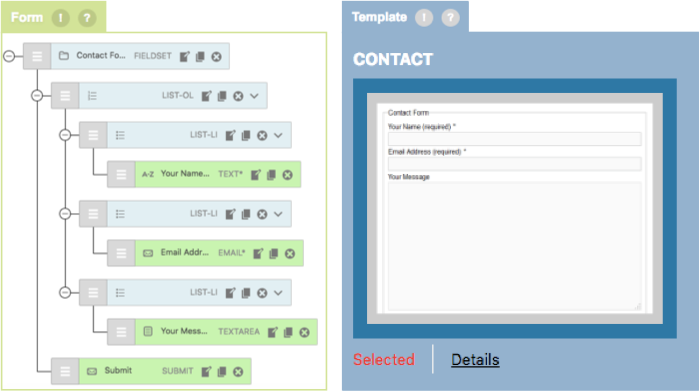 How could we make it faster and easier to create Contact Form 7 forms? 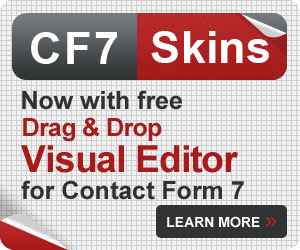 We decided to give you the option to use a visual and interactive editor right within Contact Form 7 and CF7 Skins. 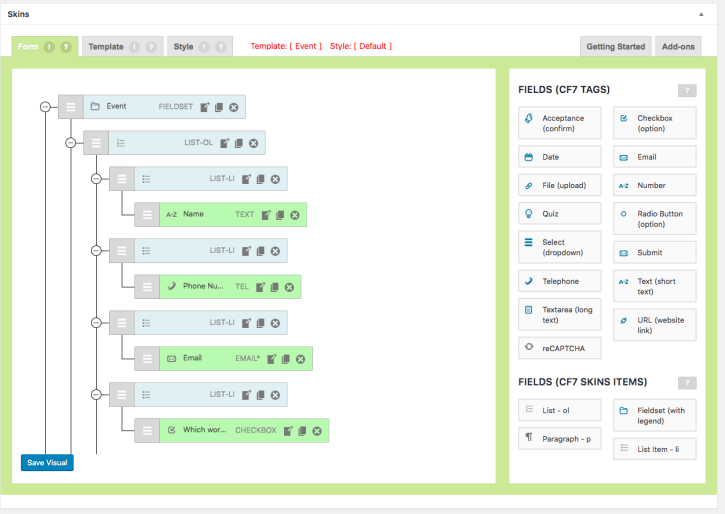 The Visual Form Editor is an interactive layout of your form’s fields and structure. You can build and edit all of your forms without writing any code. 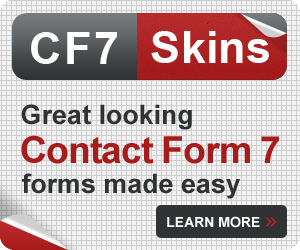 You can drag and drop all Contact Form 7 Tags and CF7 Skins Items onto your form. Simple, instant editing right within the editor. Tip: You are not required to write any code. 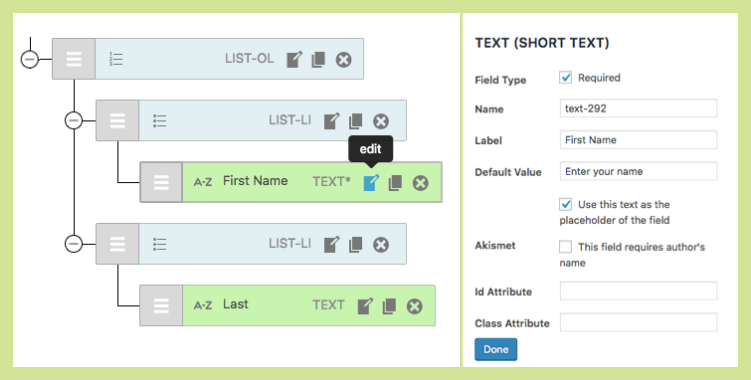 The visual editor replaces all Contact Form 7 form-tag syntax and capabilities with the visual interactive boxes. 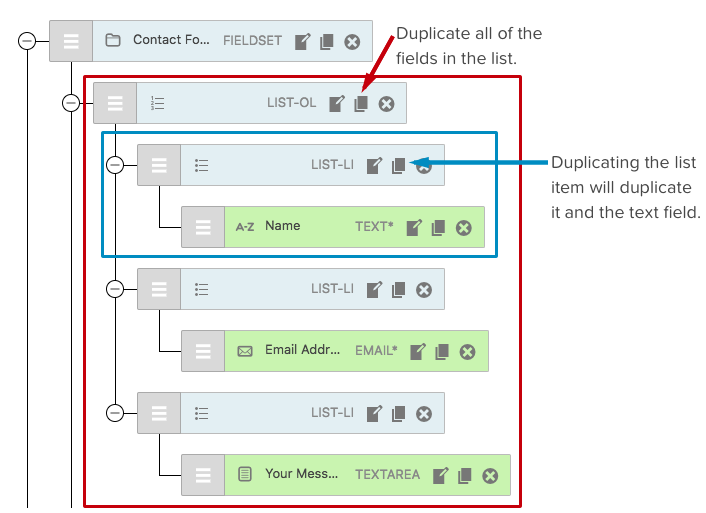 On the visual form, you can drag and drop to re-order the fields or click to edit, duplicate, and delete them. CF7 Skins Visual is great for simple forms but it really shines for more complex forms. Especially when you combine this with the convenience offered by our CF7 Skins Add-ons. Each template acts like a guide, helping you get a jump start on creating a form that meets your needs. Duplicate whole sections of a form to re-use. Take a tour of the Visual Form Editor for more time saving tips. Let us know what you think of CF7 Skins Visual: Send us your feedback. Documentation – Knowledge Base, FAQs, and tutorials. 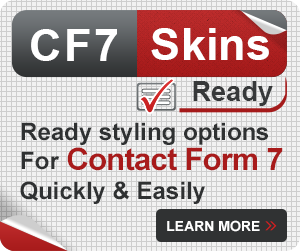 Premium Email Support – Get tailored, expert help directly from the CF7 Skins team.